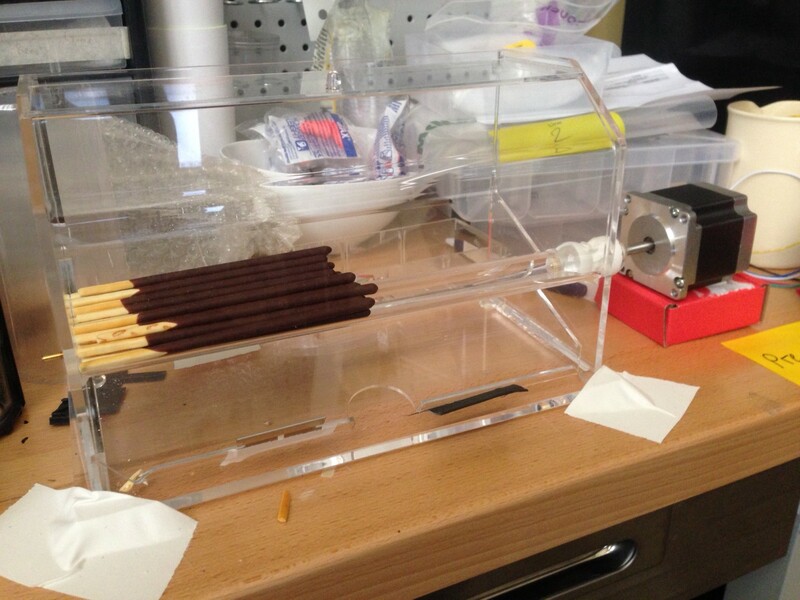 So I found myself with a few extra minutes at work and decided to throw together an automated pocky dispenser. The days of fumbling around trying to open packages of pocky in between meetings is over! This device uses incredibly advanced construction techniques. First off (and the most crucial part) is the dispensing container, which is just a straw dispenser. 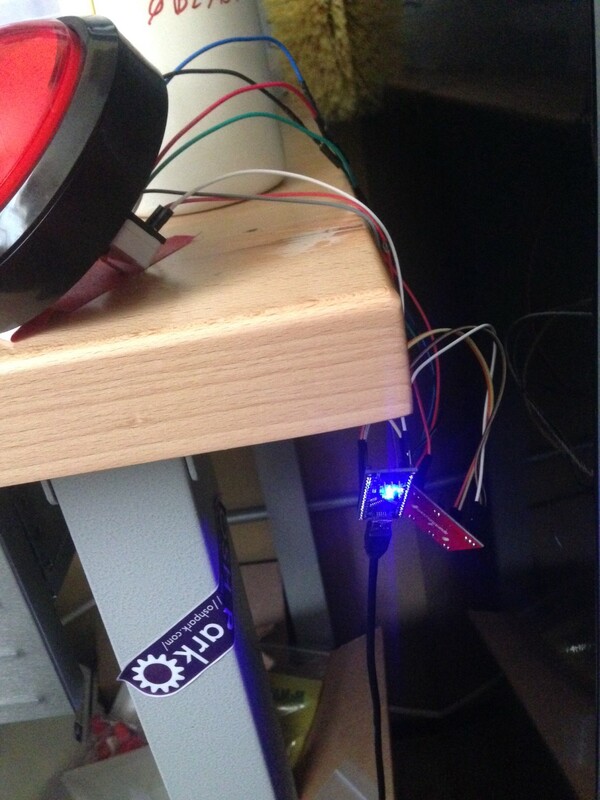 The additional key components are an arduino, stepper motor, driver, and giant red button. 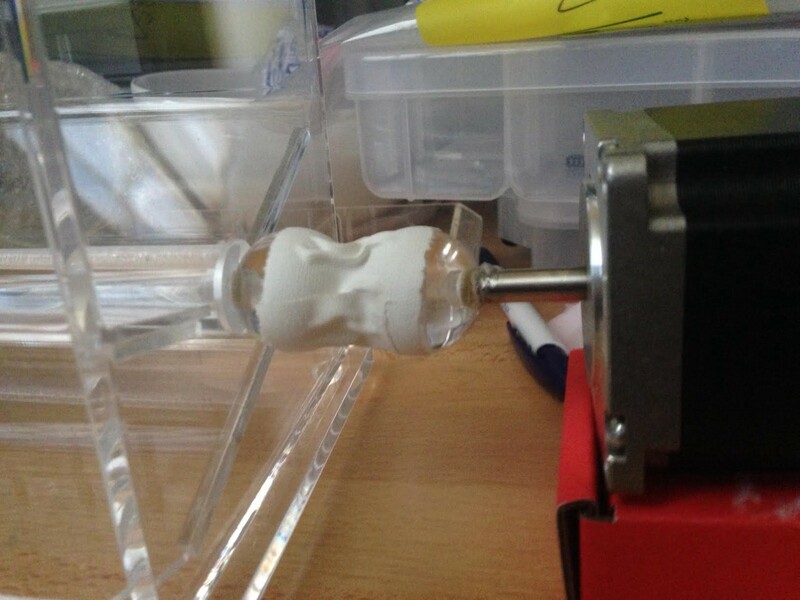 One of the balls of the straw dispenser was surgically removed and superglued onto the shaft of the stepper motor, this ball was then taped to the other side of the shaft. This allows the motor to turn the shaft will still having some wiggle room to allow for poor alignment. Note: Everything is stuck together with double sided sticky tape to keep the system robust and functioning for years to come. If you notice that the motor seems to move a bit jerky that’s because it was programmed that way. By moving 50 steps backwards and 70 steps forward and repeating this motion, pocky jams can be avoided. (I have yet to have a stuck pocky). As an extra preventive step the direction toggles each time the button is pressed. There you have it, all the tools you need to make the greatest addition to any coorporate office. Maybe now I’ll get that raise.